To strengthen the Digital India Program of our Honorable Prime Minister Sh. 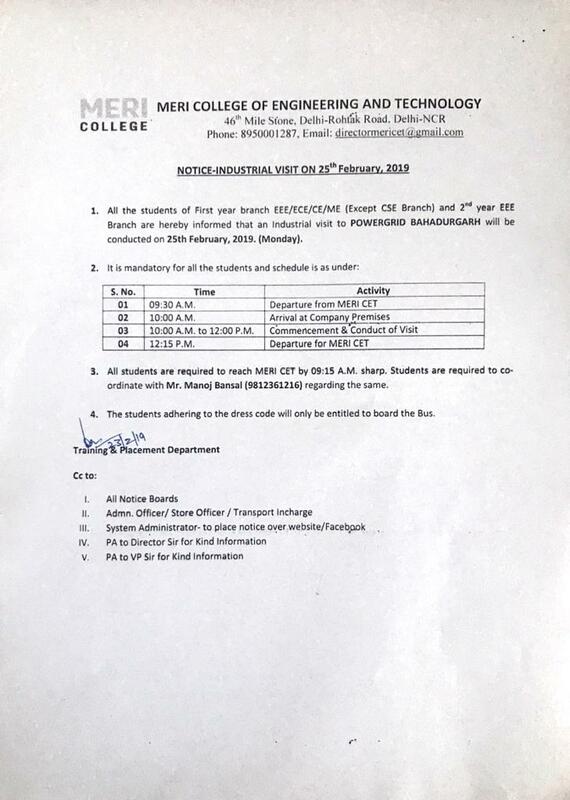 Narinder Modi Ji, a two days International Conference on " Digital Economy: Challenges & Opportunities” was organized by MERI Group of Institutions in collaboration with Ministry of Electronics & IT during February 22 - 23, 2017 at IASRI Campus, New Delhi. 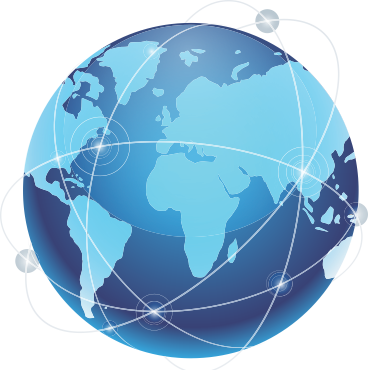 About 80 papers covering all aspects on Digital Economy like Business Innovation, Transferring Business Models, Digital Culture , Inclusions, Legal Challenges & Technical aspects, were received from researchers and students from India and abroad. Renowned Speakers like Advocate Pawan Duggal in a lighter manner pointed out about selfie & vomiting data revolution which is an innovation to digital security issues which take birth after consumer demand generates. At the valedictory function Mr. Syed Shahnawaz Hussain (BJP Spokesperson) was present as Cheif Guest. 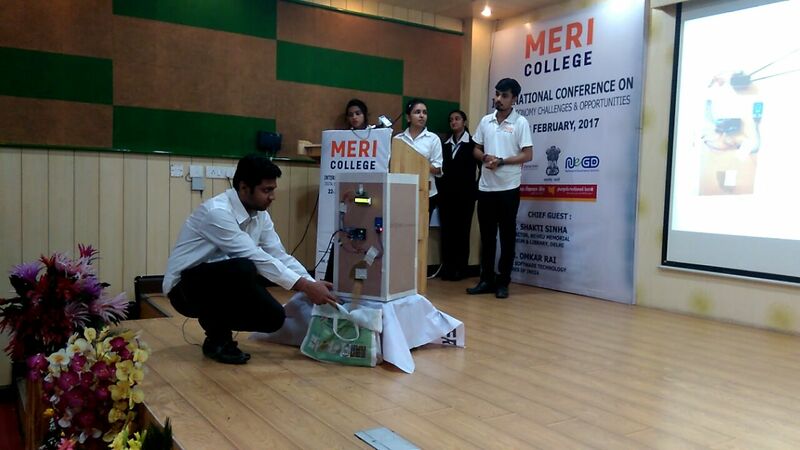 In his presence, MERI College students gave a live demonstration of an App based digital model namely Indian Gramin Ration Automatic Machine (I-GRAM) for Ration Distribution for Rural Areas. It will help rural/urban people to get ration in correct measured quantity as well as quality. Mr. Hussain appreciated the efforts and praised the live and first time invented APP by MERI College students as well as the contributions of researchers’ in his valedictory remarks for strengthening the Digital India program. He assured to provide necessary support to strengthen the efforts to take the inventions to real time application. Sh. I.P. 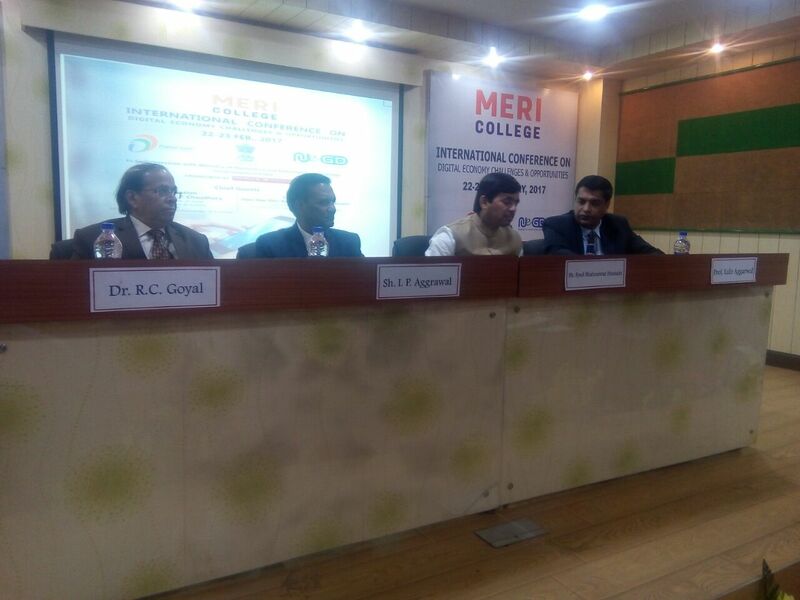 Aggarwal, President, Prof. Lalit Aggarwal, Vice President MERI Group of Institutions; Dr. R.C Goyal, Director MERI College of Engineering and Technology along with large number of dignitaries and students were present at the occasion.